Benambra has been having a solid time of things on the racetrack of late - collecting two wins in a little over a month of each other for his connections at the ripe age as a seven-year-old. Having first saluted at odds of $41 at Sale on October 26 under the guidance of apprentice Patrick Moloney - his most recent win at Friday's Moe meeting also flew under the radar of punters at $26. This time piloted by Dale Smith the son of Noverre joined in from midfield at the 800 metre and kept going - holding off all challenges for a one length win in the $15,000 TRFM BM70 Handicap (1200m). Coming off a three week freshen and back to the 1200 metres the horse backed-up a solid performance in between victories at Moe when imposed with 60kg's. 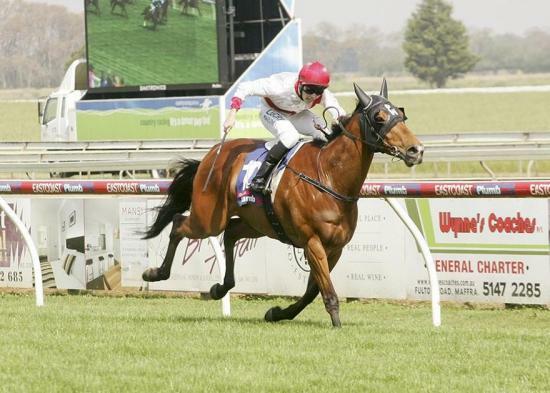 Taking his tally to seven career wins, Benambra has been a solid earner for his connections which had included continual success around the Gippsland region.